Make a statement! 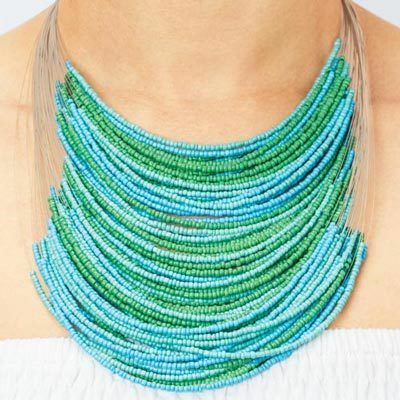 Over 50 strands of seed beads, in cool aquatic colors, turn any ho-hum outfit into a chic ensemble! Caribbean Waterfall Necklace features silver-tone accents and clasp. 18"l with 2" extender; 5" drop from top string to bottom. Hurry! Quantities are limited!